The Disadvantaged Business Enterprise Program was established in an effort to provide opportunity to minority and women-owned businesses interested in participating in DOT-assisted contracts. Ranging from general contractors to food and beverage service providers, program participants assist in the provision of high-quality products and services to visitors and passengers. In addition, the DBE program offers assistance to certified participants in the areas of bidding and estimating, bonding, loan packaging and business management. For more information on the program and eligibility requirements, please visit the RDU Airport Authority’s website or contact the DBE program officer. The Regional Transportation Alliance serves as the recognized regional business voice for transportation initiatives and policy across the Triangle. RTA focuses on strategic solutions that will decrease the area's commuting times, expand mobility options, improve shipping efficiency, and attract and retain top business talent. RTA was founded by the Cary, Chapel Hill-Carrboro, Durham, and Raleigh chambers of commerce in 1999 and formalized in 2001. Today RTA counts as members more than 100 leading businesses and 23 member chambers, along with our two metropolitan planning organizations for transportation, Triangle Transit, and Raleigh-Durham International Airport. RTA members and staff work with elected leaders and transportation partners to solve transportation and mobility issues facing the region. 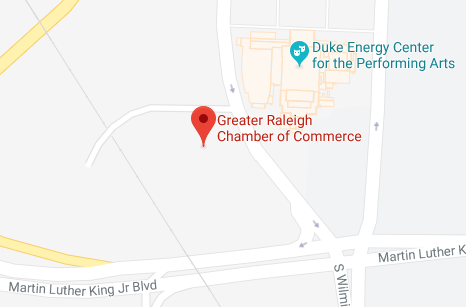 The RTA is a regional program of the Greater Raleigh Chamber of Commerce with a separate, dues-paying membership. RTA focuses on advancing multimodal solutions needed to sustain prosperity and enhance quality of life. The Small Emerging Business Assistance Program, an initiative of the RDU Airport Authority, seeks to diversify concession program leasing to create more opportunities for direct leases. One of the main objectives of the program is to allow more opportunities for small or disadvantaged businesses the opportunity to lease directly from the Airport Authority. Additionally, the SEB Assistance Program aids qualified businesses with concession leases at RDU in securing financial resources for capital development.